– Press Release dated 13/07/2017 entitled “A New Presidential Order to Protect the Interests of the Colonists”. 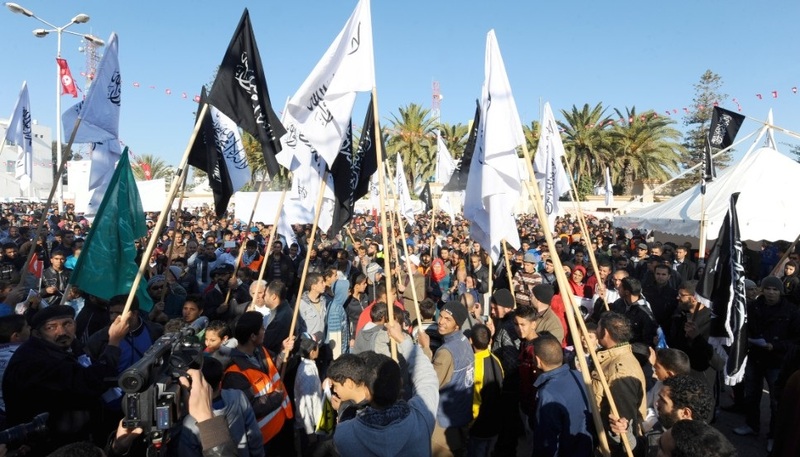 It is worth mentioning that the party’s press statements for which it is being tried are published and well-known, and they reveal the crimes of the ruling authority in Tunisia, including the death of dozens of Tunisians, as well as the exploitation of the Tunisian soldiers and officers to protect the interests of the colonial countries and their companies, and others were regarding the deception of soldiers and officers and exploiting them as patrols to guarantee the protection of Zionist “soldiers” and facilitate their “pilgrimage” to the alien in El Ghriba at Djerba. Finally, this is a warm invitation to honest journalists to follow up on an issue that does not concern Hizb ut Tahrir alone (as the Party and its members are used to the unfair trials), but it is an issue of the country’s security and sovereignty, an issue of a colonized country that must be freed.